One thing with all of the tech gear is that you need a place where you can charge it all. With a family that doubles, triples, etc. 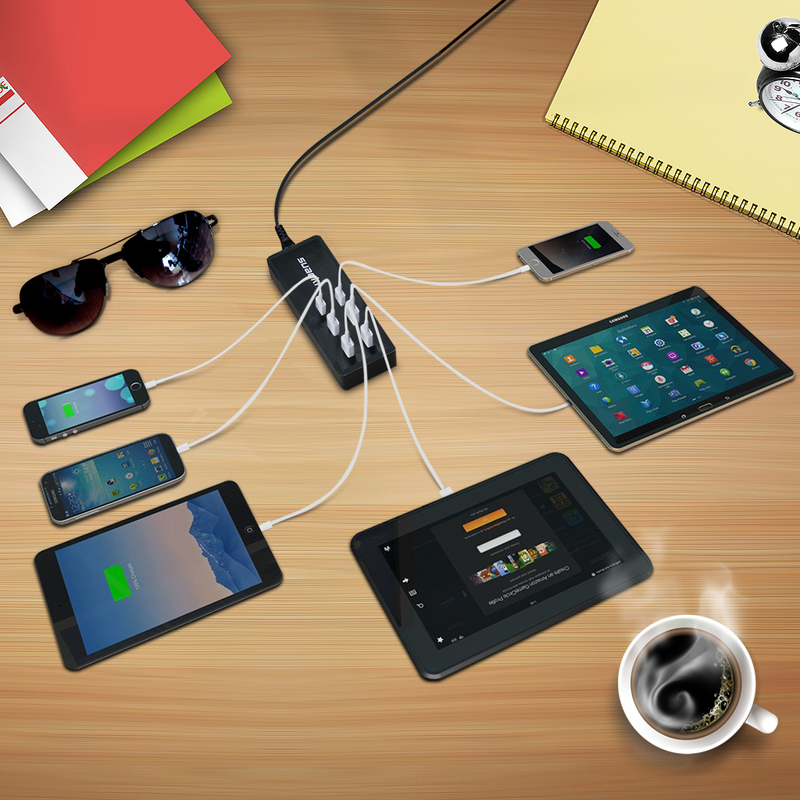 In our home alone we charge several of each device. We were losing cords like crazy that is until we made a family charging hub where everyone's products go to be charged for the next days use, this also keeps the electronics out of the kids rooms at night when they should be sleeping. This is a nice system because it doesn't matter which way you put your USB in as this works either way which makes life that much more simpler. The Suaoki charger can be found on Amazon. 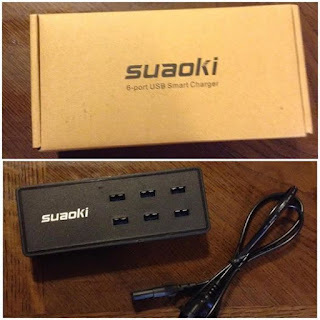 What Suaoki has to say about their product. Exclusive TIR-C Technology: build-in smart IC for each USB port intelligently identifies your device and adapts to its specific recharge rate (rise to 2.4 amps per port), speeds up charging process. Disclosure: MarksvilleandMe received one or more of the products mentioned above as part of a promotion with Tomoson and Suaoki. Regardless, MarksvilleandMe only recommends products or services we use personally and believe will be good for our readers. Some of the links in the article may be “affiliate links.” This means if you click on the link and purchase the item, I will receive compensation. If you would like MarksvilleandMe to review a product or service please contact us at marksvilleandme@gmail.com.